The demarcation of a mobile game has changed rapidly over the past few years, yet the most popular games on the App Store still tend to be those that can be played in short bursts at any time without much introduction. 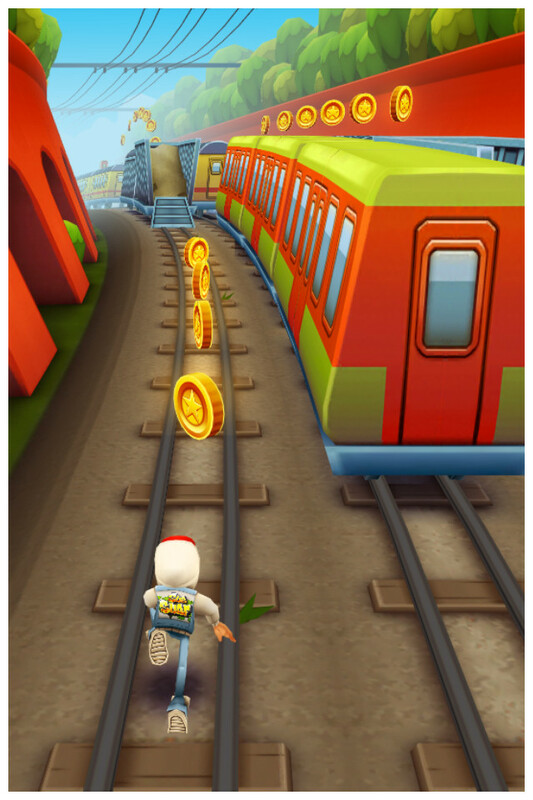 Subway Surfers [Free] definitely fits that bill, and is a game you’ll keep coming back to, unable to pull away for too long at a time. An easy way to describe Subway Surfers is as yet another version of an endless runner that plays just like Temple Run, but with some major twists that actually make the game a much more entertaining experience in many ways. The core of the game has you running along a set of subway tracks for as long as you can away from the screen, collecting coins and other power-ups on the path ahead while avoiding a series of obstacles like actual trains, light posts, wooden barricades, tunnels and more. 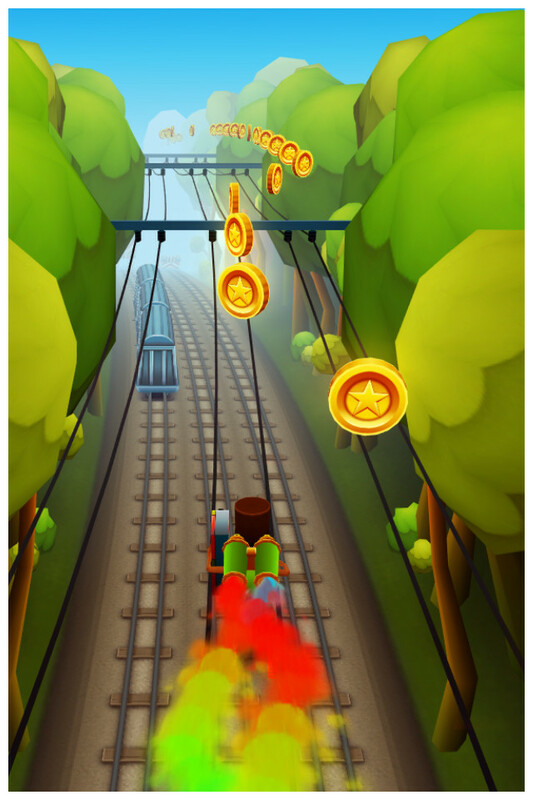 You’ll be able swipe your finger left or right on the screen to make your character switch between one of the three vertical tracks, but you’ll always keep moving forward. Consistently awesome controls bolster this. Adding variety to the formula are power-ups that can be collected to improve your score. The Jetpack and Coin Magnet help earn you a ton of coins (the former allows you to launch above the train tracks entirely in a mad-dash to grab coins), while the Sneakers and Multiplier (temporary boosts that increase your running speed or score) barely earn you any additional coins and will likely put you in harm’s way in attempting to collect them. You can also complete a series of missions that reward you with even more coins along the way. Any of these power-ups, along with a few additional one-time use items like the hoverboard, can be upgraded with the coins you collect while playing. Yes, you can purchase coins if you want, but you earn them at a fairly rapid clip on your own so it’s not necessary to buy anything with real money if you don’t want to. Being given the option to spend real cash or not on coins is a great bonus, but is a precedent that should be the model by now on iOS. While Surfers already has its entertainment value going for it, it’s also technically great. The characters have a cute look to them, the environments are colorful and bright, and the animation is fluid without any noticeable hitches. This isn’t innovative or the first of its kind, but Surfers does expand and evolve what we’ve come to know as the endless runner. 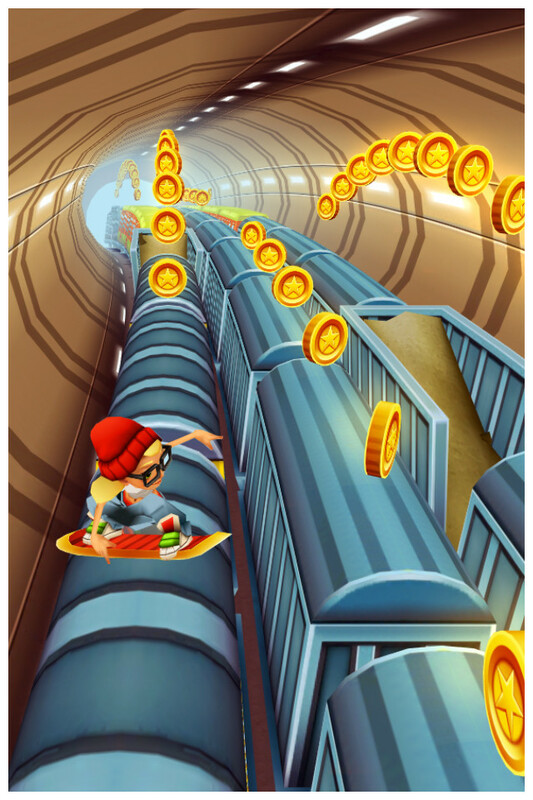 Sure, you might think you’re done with these types of games, but reconsidering with a dose of Subway Surfers wouldn’t be a waste of your time.